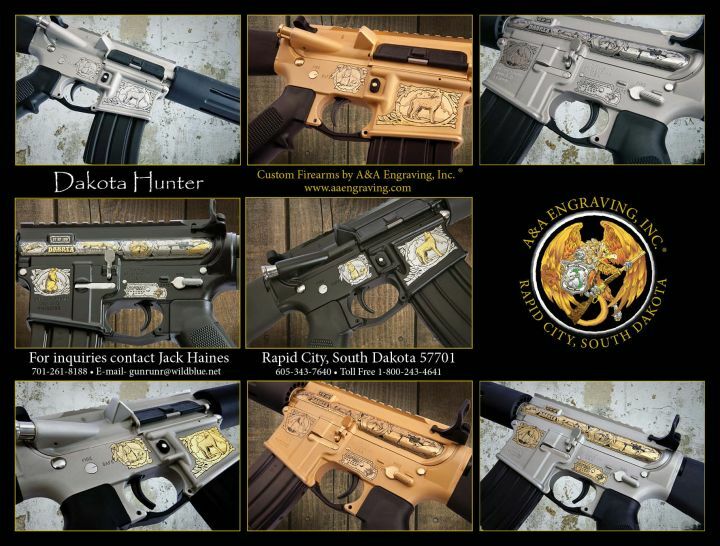 South Dakota* | Regional | Inventory | A&A Engraving, Inc.
Commemorative Firearms honoring the great state of South Dakota. #11/50 is available for purchase. Includes: Original EMF box w/paperwork, numbered & signed Certificate of Authenticity. Handmade oak display case available to order. #25/50 is available for purchase. 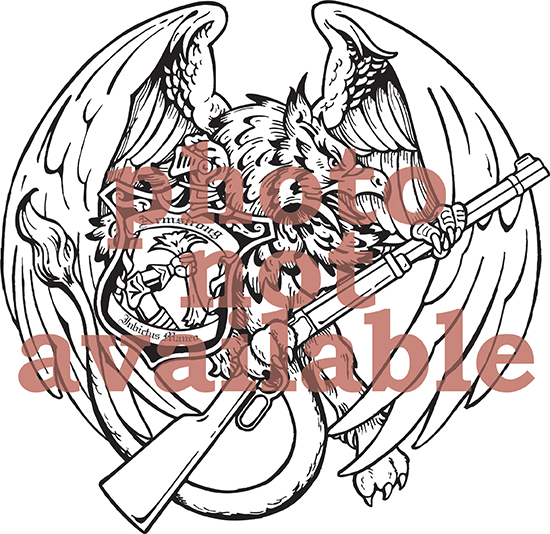 Artist's Proof is available for purchase. Featuring select game native to the Dakota region, this edition is available in several calibers and a multiude of modern finishes. 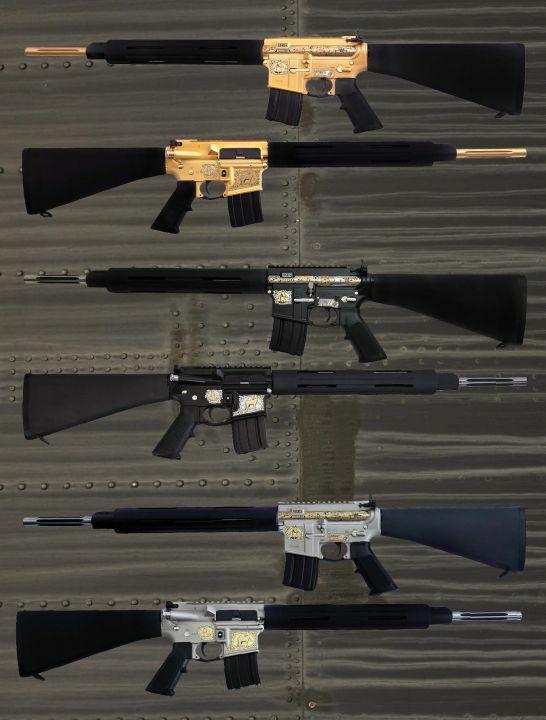 Finish: Select calibers & finishes to choose from. Individually numbered. Includes: Original DPMS box w/paperwork, signed & numbered Certificate of Authenticity. Artist's Proof is available for purchase. Featuring select game native to the Dakota region, this edition is available in several calibers and a multitude of modern finishes. Includes: Original DPMS box w/paperwork, numbered & signed Certificate of Authenticity. Includes: Original Winchester box w/paperwork, numbered & signed Certificate of Authenticity, handmade oak display case.